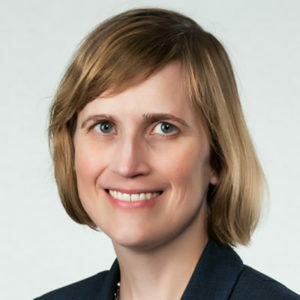 Patty Kaeding (’89) is the Chief Regulatory Counsel for GE Healthcare, a unit of General Electric Company. Based in the Milwaukee area, she focuses on healthcare product regulatory compliance and strategy globally. Before joining GE in 2006, she spent ten years at the U.S. Food & Drug Administration’s Office of Chief Counsel in Washington, DC. Her FDA litigation, policy, administrative, and legislative work included three cases resolved by the U.S. Supreme Court, tobacco regulation, and First Amendment issues. She also worked for a Wisconsin-based law firm. She received her JD in 1992 from the University of Chicago.